If San Antonio lacks anything, restaurants are not it. The southwestern Texas city has got a place to grab a bite almost every step along the riverwalk and every other step off of it. From umbrella lined patios, to white tablecloth restaurants, San Antonio has a wide variety of cuisines and dining experiences to suit anyone who visits, even the pickiest of eaters. 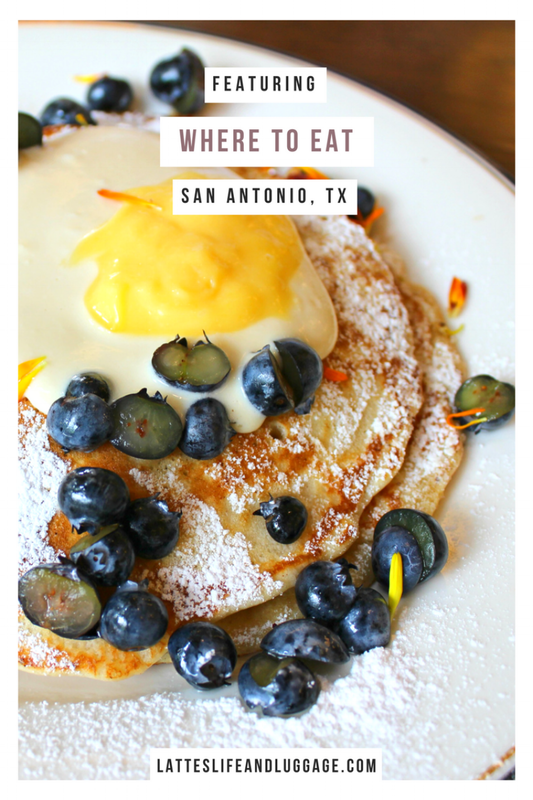 It would take weeks to share all of the restaurant and dining options in San Antonio, so I can’t do that but I can share ten of my recommendations for your next trip. Bon appetit! 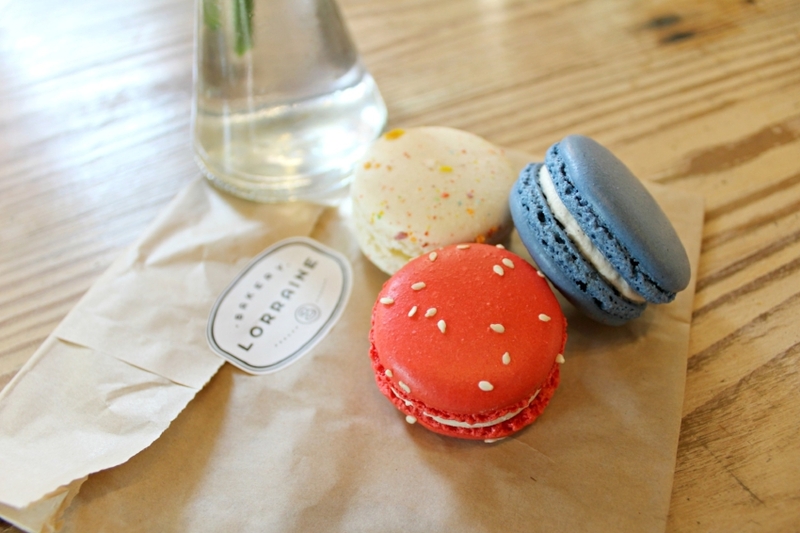 If you’re as obsessed with French macarons as I am, you need to visit Bakery Lorraine. Located in the Pearl District, one of my favorite places in San Antonio, Bakery Lorraine serves up a large number of pastries as well as bites to eat. They have enormous sandwiches, soups, salads, breakfast items and more. I, of course, came for no other reason than the macarons. The flavors change often but the ones I ordered included the Fruity Pebbles, Earl Grey, and Strawberry. Délicieux! A common denominator among many of these restaurants is their location...the riverwalk. The riverwalk in San Antonio is the mecca of entertainment and while I do encourage you to break off, I also encourage you to take advantage of the convenience it offers as well. Bella on the River is a white tablecloth restaurant but not a pretentious one. Bella is a local and independent restaurant with a strong Mediterranean menu. It’s a smaller restaurant with European style but still cozy and welcoming. Try their Gazpacho on a particularly warm day or the Kale Salad with fresh strawberries for a refreshing start to the meal. The Rigatoni sounds divine and the Pork Tenderloin features a sweet and savory flavor profile that has my mouth watering. Dietary restrictions? No problem! Bella has a vegetarian and gluten-free menu. And don’t miss out on their vast wine list boasting bottles from California to Bordeaux. Boudro's is a “Texas bistro” but feels like a French bistro. With indoor seating and outdoor seating along the river, Boudro’s is a casual restaurant with an upscale vibe. My Noni and I went to Boudro’s for lunch where we dined right near the river. We both had salads and split a side of French Fries because why not. The service was incredible, honestly one of the best restaurant experiences I had. There were many things on the menu I wanted to order and had to live with the disappointment of only ordering one. I’ll have a full review of Boudro’s up later this month. Guenther House is a breakfast or lunch restaurant located in an old historic home that currently serves as a museum. It was the previous home of C.H. Guenther who owned C.H. Guenther & Son, a company over 160 years old that produces flour, grain, and other products. The Guenther House sells many of them from pancake mix to coffee. The restaurant is a favorite breakfast and brunch spot to both locals and visitors. The property alone is worth it to visit but if you come hungry, you’ll leave with a full belly. Try the Pioneer Pancake Platter, the Buttermilk Biscuits & Sausage Gravy, or take it back in time with the 1851 Breakfast Platter featuring a Pioneer biscuit with country gravy and crumbled sausage, bacon, a sausage patty, breakfast potatoes and eggs. Still hungry? I’d be remiss not to mention all their pastries and desserts! Normally, I don’t like to include chain restaurants in my posts but the Hard Rock Cafe in San Antonio has a great location on the riverwalk and it’s a comforting spot to those who don’t like to go out of their comfort zone. My Noni is very much a “regular” at the places she dines so I think she enjoyed being able to go to a restaurant with a name she was familiar with. If nothing else, they play great music. We went to the Hard Rock Cafe with dessert in mind but if you have a larger appetite that needs to be fed, I’d recommend the Margherita Flatbread as a starter and any of their legendary burgers because...when on vacation! 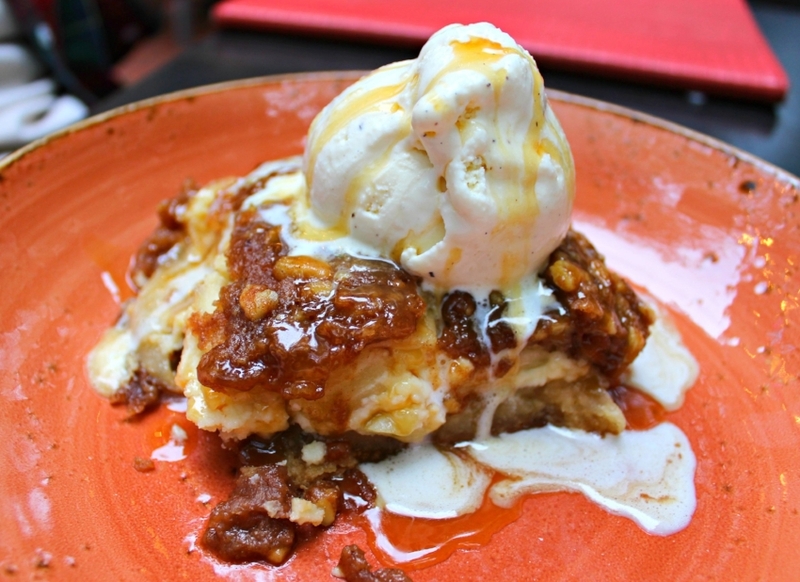 If you love Latin flavors like I do, Ocho should be on your list. Serving up primarily Cuban cuisine with a touch of Mexican and Texan thrown in, Ocho knows how to deliver on flavor. Kick things off with a cocktail inspired by Ernest Hemingway and the Salsa Platter. For the main, enjoy one of their tortas like the classic Cubano or one of their plates like the Crispy Snapper in Coconut Sauce. Indulge your sweet tooth before leaving with their Fresh Fried Churros which make my mouth water as I write this. Rebelle is a farm-to-table restaurant in the St. Anthony Hotel. My Noni and I went to brunch here with my cousin and it was pretty darn good. The menu is a little slim so if you or anyone you’ll be dining with is a picky eater, I’d recommend checking out the menu beforehand to make sure you’ll find something you like. A few recommendations include The Southerner, The Parisian (duh), and the Jamaican. Rebelle has a lot of interesting, unique condiments to go alongside the main dishes like the raspberry coulis with the Parisian ad the green tomato jam with the Southerner. For a more upscale dining option, Restaurant Gwendolyn is your spot. It’s also one-of-a-kind in that they use old-school cooking. I mean, really old school. They cook their food without any electronics reverting back to the cooking methods of the early 1800s. There are no machines in the kitchen at Restaurant Gwendolyn and the food is locally sourced in a 150-mile radius. Everything is done in house from the butchering of animals to the mixing of jam. Because of the high quality that Restaurant Gwendolyn serves and the amount of labor put into each dish (at least that’s what I’m guessing), prices are a little higher. So if she’s not in your budget for dinner, consider stopping by for lunch where menu items are much more affordable and, with that said, simpler. Rita’s on the River, I’ve learned, is the place that everyone takes company from out of town. I can understand why considering it’s a friendly, fun place with a huge outdoor patio and fantastic food. It was the first restaurant my Noni and I went to for dinner while visiting San Antonio and I consider it a huge hit because my Noni loved it. She’s not a huge fan of Mexican food, because I think she hasn’t had the good stuff, but she loved her Taco Salad at Rita’s. I also had her try guacamole for the first time which she wasn’t a fan of but I got it all to myself so you won’t hear me complain! Rita’s was in our Dining on the Riverwalk post not too long ago so head over and check it out! Supper at Emma is in Hotel Emma in the Pearl District. This restaurant was one of my favorite that we visited in San Antonio. Supper serves Modern American cuisine in a beautiful restaurant that has all the charm of Hotel Emma. There is a ton of light throughout the restaurant, the staff is super friendly and the food is delightful. We (luckily) dined at Supper for breakfast and each had very different dishes: one of us went savory, the other went sweet. We couldn’t leave without ordering the Beignets either, which were out of this world. Supper was such a phenomenal experience that you’ll see a full featuring on her in the future as well. Have you visited San Antonio? What were some places you dined at? Tell me in the comments below.